Enacted on April 5, this Law stipulates children’s rights and duties, principles and measures to guarantee the exercise of children’s rights, and responsibilities of agencies, organizations, educational institutions, families and individuals for exercise of children’s rights and duties. 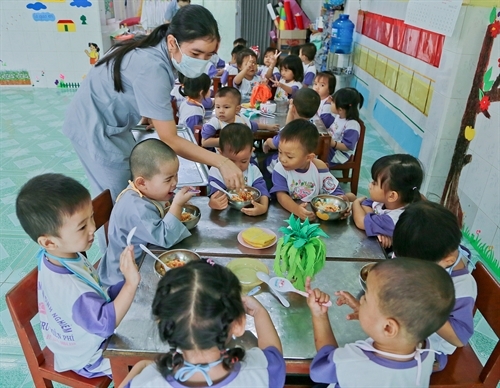 The Law also regulates foreign children residing in Vietnam. This Law takes effect on June 1, 2017, and replaces the 2004 Law on Child Protection, Care and Education. Passed on April 6, and effective on July 1, 2018, this Law provides the exercise of citizens’ right of access to information, principles, order and procedures for the exercise of this right, and responsibilities and obligations of state agencies in guaranteeing this right. 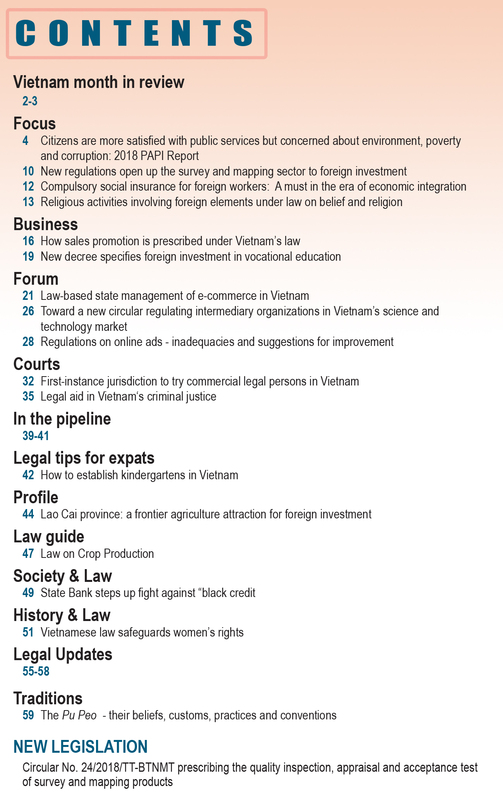 Particularly, foreigners residing in Vietnam may request the provision of information directly relating to their rights and obligations according to the order and procedures provided in Chapter III of this Law. This Law, dated April 6, 2016, prescribes dutiable objects, duty payers, duty bases, tariffs, anti-dumping duty, anti-subsidy duty and safeguard duty applicable to imports and exports; and import duty and export duty exemption, reduction and refund. 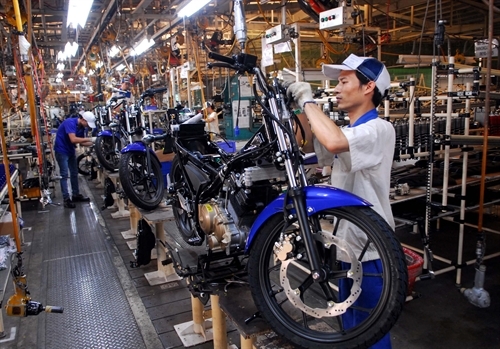 Under the Law, investment projects will be eligible for import duty or export duty incentives they currently enjoy or incentive levels prescribed in this Law, whichever is higher. This Law also applies to raw materials, supplies and components which are imported for export production but not yet exported and to goods which are temporarily imported for re-export but not yet re-exported under customs declarations registered with customs offices before the effective date of this Law and for which duty has not been paid. This Law takes effect on September 1, 2016, and supersedes the 2005 Law on Import Duty and Export Duty. This Law, adopted on November 18, will come into force on January 1, 2018, and replace the 2004 Ordinance on Belief and Religion. The Law prohibits all discriminations for religion or belief reasons; acts of forcing, buying off or hindering others from following or not following any religion and belief; and acts of carrying out religious and belief activities that infringe upon national defense, security and sovereignty, social order and safety or environment, or harm social ethics or hurt other persons’ honor and dignity. Particularly, foreigners lawfully residing in Vietnam will have their freedom to belief and religion respected and protected by the Vietnamese State. They may carry out and participate in belief and religion activities and use designated places for carrying out these activities in Vietnam. Dignitaries and priests being foreigners lawfully residing in Vietnam may conduct rituals and preaching in religious institutions or other designated places in Vietnam. Dated April 12, 2016, this Resolution, which touches on the 2016-20 five-year socio-economic development plan, indicates five major tasks for restructuring the economy, including (i) restructuring public investment, state enterprises and credit institutions; (ii) restructuring the state budget and public sector; (iii) boosting the domestic private economic sector and attracting foreign direct investment; (iv) modernizing the planning work and restructuring sectors and economic zones toward increasing productivity, quality and effectiveness in line with the acceleration of international economic integration; and (v) establishing and developing financial, land use rights, labor, and science and technology markets. This Resolution, approved on May 16, provides supports for enterprises with a view to creating the most favorable business climate through 2020. Under the Resolution, related ministries, sectors and agencies are assigned to implement solutions concerning administrative reform, support for startups and innovative and creative enterprises; guarantee of enterprises’ business right and access to resources and business opportunities; cutting of expenses for enterprises; and non-criminalization of economic and civil relations. The Resolution affirms that the State will guarantee equality for all businesses, regardless of their types or economic sectors, in accessing capital, natural resources, land and business opportunities. Adopted on November 22, this Resolution stipulates the grant of e-visas for foreigners entering Vietnam. The grant will be made online on a pilot basis for two years, starting from February 1, 2017. An e-visa will be valid for single entry for a period not exceeding 30 days. The pilot grant of e-visas will apply to citizens of countries that have diplomatic ties with Vietnam or when the grant complies with Vietnam’s socio-economic development and external relation policies in each period and does not harm national defense, security and social order and safety of the country. The Government will decide on a list of countries whose citizens will be eligible for e-visas on a pilot basis and a list of border gates where foreigners will be able to enter Vietnam with e-visas. Foreigners who apply for conventional visas (other than e-visas) must comply with the Law on Foreigner’s Entry into, Exit from, Transit through and Residence in Vietnam and relevant treaties of which Vietnam is a member. 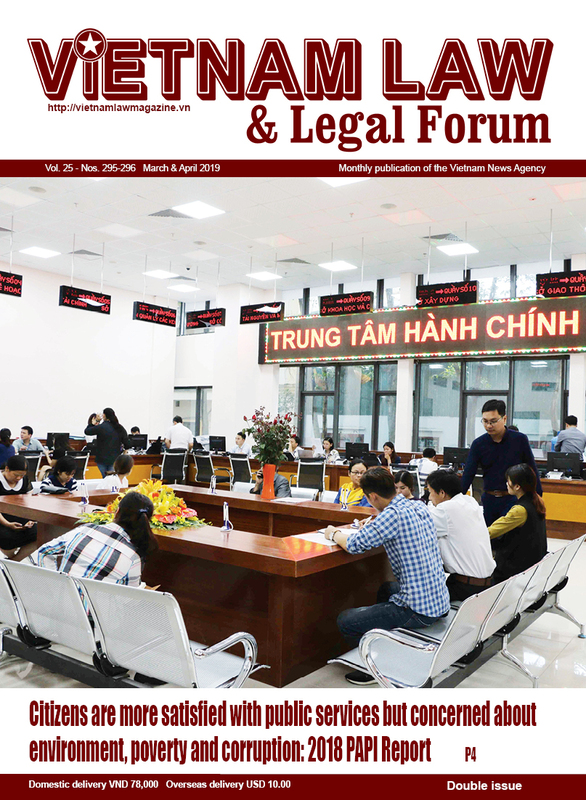 This Decree, issued on January 25, details the Commercial Law regarding Vietnam-based representative offices and branches of foreign traders. Effective on March 10, 2016, the Decree allows foreign traders to set up their representative offices and branches in Vietnam according to the country’s international commitments. However, a foreign trader may not have more than one representative office or branch bearing the same name within a province or centrally run city. On July 5, 2016, the Ministry of Industry and Trade introduced Circular No. 11 prescribing the forms to implement this Decree, which applies from August 20, 2016. Dated February 3, 2016, this Decree details a number of articles of the Labor Code regarding foreign workers in Vietnam, such as grant of work permits to foreign citizens who work in Vietnam and expulsion of foreign citizens who work in Vietnam without a work permit. This Decree takes effect on April 1, 2016, and replaces Decree No. 102 of 2013, and Point a, Section 4 of Government Resolution No. 47/NQ-CP of July 8, 2014. Under this Decree, such papers as written approval of employment of foreign workers, written certification of foreign worker’s eligibility for exemption from work permit, and work permits granted under Decree No. 102 remain valid until they expire. Cases in which an employer submitted a report explaining his/her/its demand for foreign workers and a dossier of application for grant or request for re-grant of a work permit or for certification of foreign workers’ eligibility for exemption from work permit before the effective date of this Decree must comply with Decree No. 102. 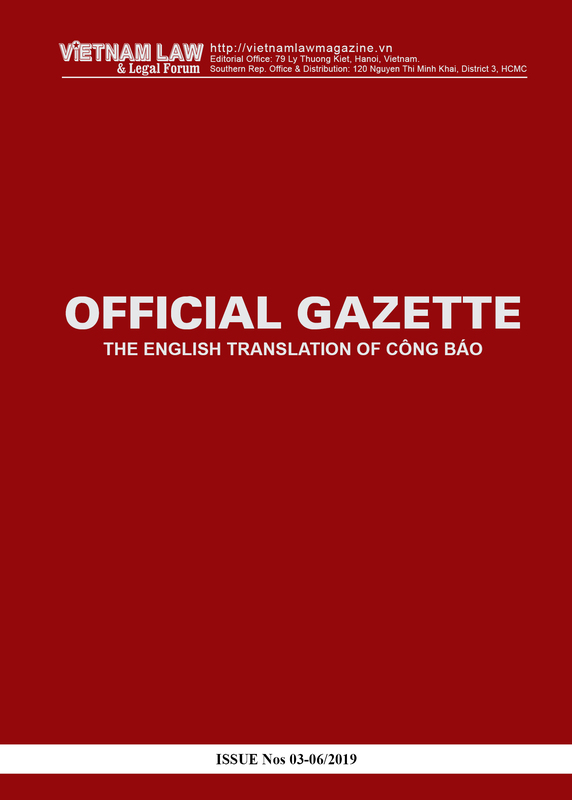 The Ministry of Labor, War Invalids and Social Affairs on October 25, 2016, issued Circular No. 40 to guide the grant of work permits under this Decree. This Decree, dated March 16, 2016, provides the management and use of official development assistance (ODA) and concessional loans of foreign donors, including foreign governments, international organizations, inter-governmental organizations, and governmental organizations authorized by foreign governments to provide ODA or concessional loans to the State or Government of the Socialist Republic of Vietnam.